The Eagles got rejected by this. Former New York Giants head coach Ben McAdoo, the guy who almost received Doug Pederson's gift basket, has been popping up a lot lately with assorted opinions about trending NFL topics. McAdoo took the Giants to the postseason in his first year as head coach and then flamed out spectacularly last year with a 3-13 record. (Actually, he was fired before the end of the season, so a few of those gazillion losses were not on his watch, technically, but who's keeping score?). In addition to bashing the likes of rookies Baker Mayfield and Sam Darnold, McAdoo recently told the New York Post that he believes the Giants will win the NFC East in 2018-19. The defending Super Bowl champions are too green, according McAdoo. “I think Philly, how much success has Philly had?” McAdoo said. “I think they’re gonna have a hard time handling success." Eagles head coach Doug Pederson acknowledged that McAdoo's point makes some sense, but said he's seen no evidence of complacency during offseason practice sessions. He embraces the coaching challenge of keeping the team focused on the year ahead. Outspoken defensive end Chris Long was a bit more critical of McAdoo's comments. “That’s kind of a speculative statement, isn’t it?” Long told ESPN. “There’s no science as to who’s going to handle success well or not handle success well. Certainly, no one’s given any indication in our organization that we won’t handle success well." The last team to win repeat Super Bowls was the New England Patriots in the 2003-2004 seasons. Other teams, such as the Seahawks, have returned in back-to-back seasons since the turn of the century. The Broncos and Steelers both made two Super Bowl appearances in a three-year span, winning one apiece. As Long sees it, the Eagles' most important task is dissociating from the prolonged celebration of Philadelphia fans experiencing their first-ever Super Bowl. “Yesterday I watched our fans, rightfully so, shutting down a street to watch the Super Bowl again on the big screen. That’s awesome,” Long continued. “But as players we need to separate ourselves from that, and we need to show up and realize we have a target on our back. And the hardest thing is, there’s going to be reminders of how great we were last year all through the summer and even into the fall." The Eagles are probably going to have to get used to the naysayers throughout the 2018 season. They'll show up any and every time they falter. 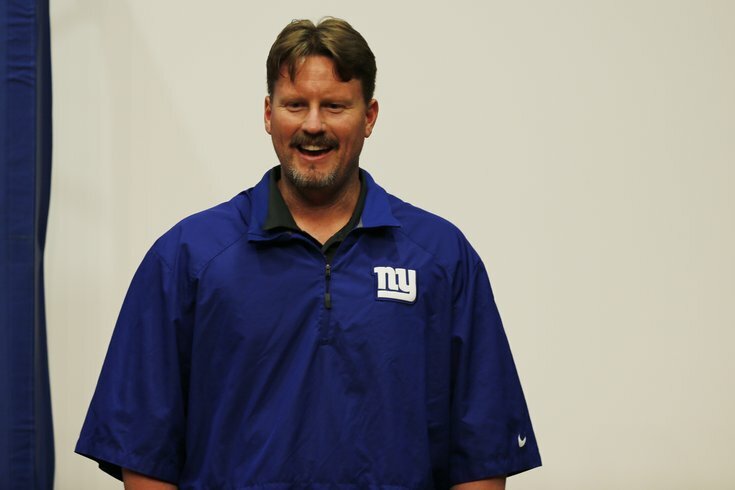 Assigning Ben McAdoo's face and hair as the team's mental image of a hater who doesn't believe in them is only going to help.